March 25, 2013 Pamela1 Comment on Which wines go with Peruvian food? Which wines go with Peruvian food? August 23, 2012 Pamela3 Comments on Which wines go with Peruvian food? 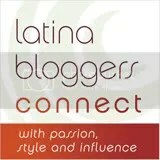 February 3, 2012 February 3, 2012 Pamela8 Comments on Which wines go with Peruvian food?